It was around this time that The Avengers went from just being another team of heroes to being the greatest team of heroes in the Marvel universe. Many major events happened at this time most changing the team line-up for better or worse. The team had just returned from the Reborn universe but were transported to a Medieval universe by Morgan Le Fay, they were accused of racism by the Triune Understanding and more. The start of some major events happen after Scarlet Witch went insane and destroyed the mansion and killed many members. The team broke up after that but a new team formed after a major breakout in the Raft. The next major, and quite possibly most important event split the Marvel Universe in two with the Civil War, with Cap leading the anti-registration and Iron Man leading the pro team. After the Secret Invasion, the Avengers went under ground to battle Osborn but by the start of the next decade they returned to form as the heroic Avengers. There were many many recruitment during this time. Just like Falcon was forced to join the team, Triathlon (now known as 3D-Man) was force to join the team to have a person of color in the team which brought tension between him and the team, with also him being mascot hero of the Triune Understanding, before proving himself. Jarvis’ sponsored child, who he helped get into college in the states, Silverclaw was given reserve status. Having help defeat a cosmic problem with a team of cosmic Avengers, Jack O Hearts stayed in the mansion before given full membership by Wasp. Scott Lang’s Ant-man accepted membership after he lost custity of Cassie and had nowhere else to go. 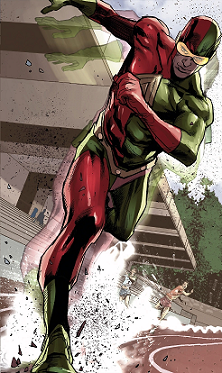 The new Captain Britain, later Lionheart, joined the team after she helped the team defeat Morgan Le Fay. The soon broke up after that in the Avengers Disassemble story, but a new team soon form after Electro broke many villains out of the Raft prison. 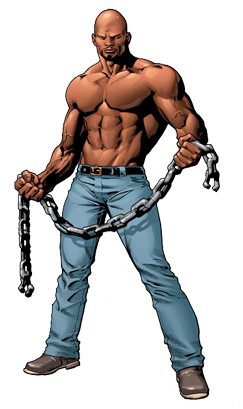 Lead by Cap, he was joined by Iron Man and Spider-man (given full membership) as well as new comer Luke Cage. It should be noted that Spider-woman did not join at this time as she was replaced by a Skrull. On a mission to the Savage land, Iron Man offered Wolverine membership and after finding out who he was Sentry joined the team. DD was offered membership but refused and instead said they should get Echo (then Ronin) to join, which she did as a spy in Japan. The team split in 2 after the Civil War with one group lead by Luke and then Hawkeye (as Ronin) and another lead by Ms Marvel (Carol Danver) and Iron Man. Ares joined the Mighty team under the condition he got paid. It should be noted that the New Avengers team members at the time weren’t considered official. During the Dark Reign arc, Hank Pym, then as the Wasp, lead a new team of Migthy Avengers which included new recruits, Amadeus Cho, who was with Hercules at the time, Jocasta, who was helping Hank and Young Avengers Stature and Kid Vision. That team broke up later but all the separate team rejoined together to defeat Osborn during the Siege arc. Ant-man had been helping the Avengers for many year but always refused offers to become a full member. This all changed when his ex-wife file for full courtesy of their daughter fearing for her safety. He lost the case and feeling despressed wound up at the Avengers mansion asking if he could stay there for a while. He remained a member until he was killed by a zombie Jack of Heart under Scarlet Witch’s madness. He has since come back. Luke Cage was doing bodyguard work for Matt Mardock when they were visiting the Raft prison when Electro cause a massive breakout. Afterwards, he was invited to joined the team, but as long as they also worked on street level problems as well. Luke became a key member of the team, eventually leading a number of teams. He left a few times usually to help raise his daughter or to joined other teams like the Defenders. When the new team of Avengers discovered the real person behind the breakout was cause by the Mutates of the Savage Land to rescue Sauron, they head to the Savage Land to find them. There they encounters Wolverine who was after the same group. After encountering a renegade group of SHIELD agents, Iron Man offered him a place on the team. As he explained to Cap, he was there to do what they couldn’t if anything like Scarlet Witch happened again. Since then he has become a core member having membership is many teams at once. He remained a member up until his death. Sentry was one of the original heroes, friend to most. At least that’s what he believe before he erase his exist and memories from other people. He went to jail believing he killed his wife, who was alive. When the breakout happened, Sentry rescued Foggy Nelson by killing Carnage. He joined the team after he discovered the truth but remained with Osborn in the Dark Avengers and was eventually killed. He has since been revive. When DD refused Cap to join, he suggested another person. The team went to Japan where he happened upon a meeting between Madame Hydra and Silver Samurai to which the vigilante Ronin was investigating. The team arrived just in time to rescue her but she remained in Japan to find out why the 2 were meeting. 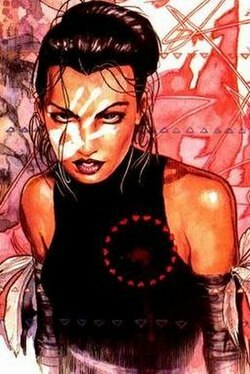 She was later rescue by the renegade New Avengers team when they helped her defeat Elektra, who turned out to be a Skrull. She returned to the states but left the team after the Secret Invasion. After the Civil War, Iron Man and Ms. Marvel began recruiting new member for a government sponsored Avengers team and needing a combination of Thor and Wolverine, recruited Ares, the Greek god of War. However, he only worked with the team if they paid him, since he was raising his son. 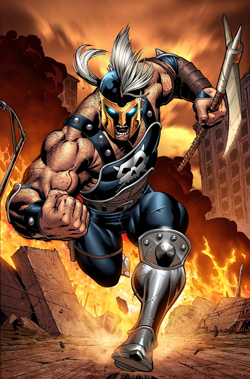 However, when Osborn came into power, he paid Ares more so that he would stay with the Dark Avengers. He lead the charge against the Asgardian in Siege but when he learnt that he was being tricked, he attacked Osborn only to be ripped in half by Sentry. He has since returned during the Contest of Champions and is part of a European team. Why? : Not impossible and was a big part of Ger Perez second run of the book. However, he hasn’t really been seen since expect in a few Agent of Atlas stories. More of a chance being 3D-man then anything. Why? : This one is bit easier as she could just use the teenage mold but her power set make it hard to work into comic and she hasn’t really been seen for a while. Why? : This is actually one of the more requested figure of the bunch. 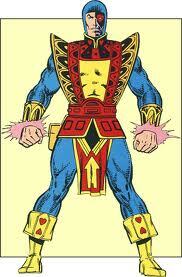 He has a famous seen in the Disassemble arc which is also important to Ant-man. Maybe in the Ant-man and The Wasp movie wave? Why? : With the regular Captain Britain being confirmed for being part of Captain America subline, then this version could be slipped in there as one of the female figure. Also Kevin Fiege has said he wanted to do a Cap Brit thing so maybe we might get a wave for that. Why? : While the normal Cho would be hard to get made, the Totally Awesome Hulk is almost guaranteed to be made. Hell most of the Champions team has been made, with Cho, teen Cyclops and Viv Vision being the last to be made. Why? : The robotic bride of Ultron, this one is one of the more requested member of Hank Pym’s extended family. It could use a standard female build she doesn’t need a new body. She would be nice as part of the Ant-man and Wasp wave. Why? : I say if this is not at least one of the Avengers or Ant-man and the Wasp’s BAF then Hasbro doesn’t listen to fans (which isn’t true at all). Not to mention she is technically in the movie (this is who Scott Lang’s daughter grows up to be). Come on Hasbro, forgot lesser BAFs and give us Stature. Why? : Let get one thing straight, this is not the same Vision as the one we got. This one used the brain pattern of Iron Lad instead of Wonder-man, thus making him a different character. 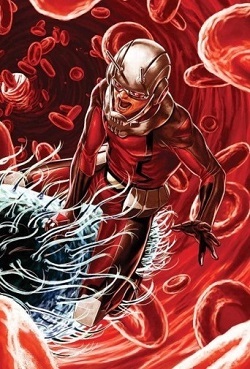 Using the teen body, this could be possible for the Ant-man and The Wasp wave.